Everyone knows that you should never make the same mistake twice. Yet, there you are, continuously fudgin’ up your company’s SOPs. You’re better than that, Evan! But you’re not clueless; you’re just struggling to access what you and your business already know. Here to keep all the knowledge you need in one place is Knowlocker. Knowlocker is a platform that brings all of its users’ knowledge into one centralized location. 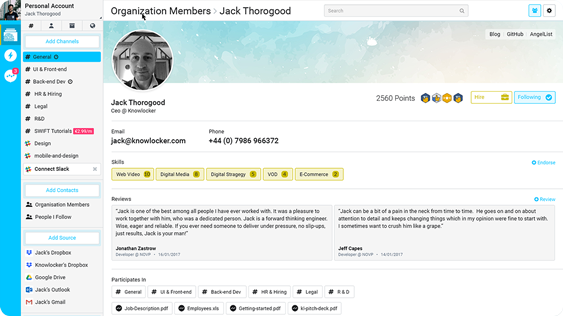 Think of Knowlocker like a collaboration tool on steroids or a social feed that has information that actually matters to you, minus the political rants from your opinionated uncle. Everyone in your organization will be able to showcase (or show off) what they know, making onboarding staff or taking on new projects simple and straightforward. 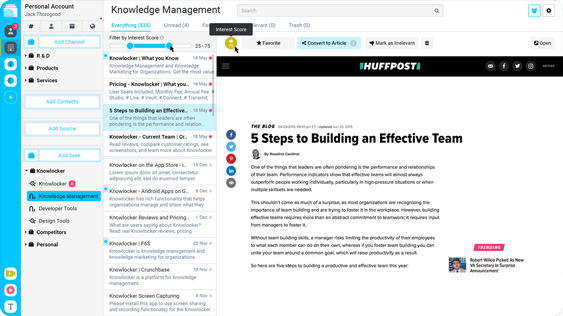 Knowlocker makes every article, text, and video your team contributes into the tool searchable, shareable and usable. 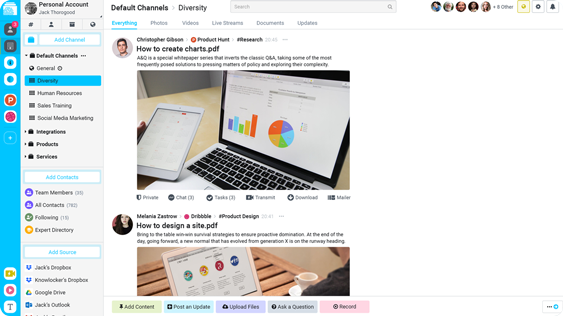 Now, it’s easier than ever to share relevant content with team members. But unlike other tools where you have to add all your information from within the app, you can pull outside resources into Knowlocker. Adding files to Knowlocker is as easy as syncing apps and clicking your mouse. But don’t worry about being distracted by noise and memes from social media accounts — they will only appear in a small box in the top right of your screen and you can filter out accounts and keywords you don’t find helpful. There’s even an awesome feature called “Seek” that has Knowlocker searching the web every day for information on the keywords you set. When it finds relevant material, you can easily import it to your existing knowledge base. Knowlocker is helping companies plug knowledge gaps with the Knowlocker Pro Plan. Normally, you’d be paying $150 a year to have 3 users on the Pro Plan. But while we are lucky enough to have this deal in our store, you can get lifetime access for just $49! Aggregate all of your knowledge now! *Knowlocker makes sure that you can share knowledge inside and outside of your organization. So while your first instinct will be to use Knowlocker for internal processes, you can also use it to share information with customers! 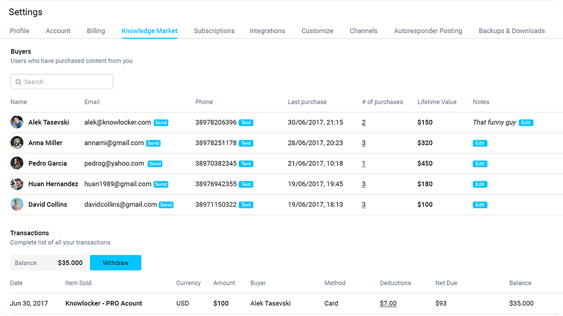 * This unique knowledge management space will help you increase sales and reduce churn by allowing customers to understand what is they’re buying, and how to use it. * Knowlocker wants to make your job/life easier, which is why they are a platform that will continue to add even more integrations, making this deal even sweeter with age! If you run a company, you know that your information is all over the place. We spent 3 months searching for our Twitter password! But with Knowlocker, you can finally bring all that sweet, sweet knowledge under one roof so that everyone can be more productive. 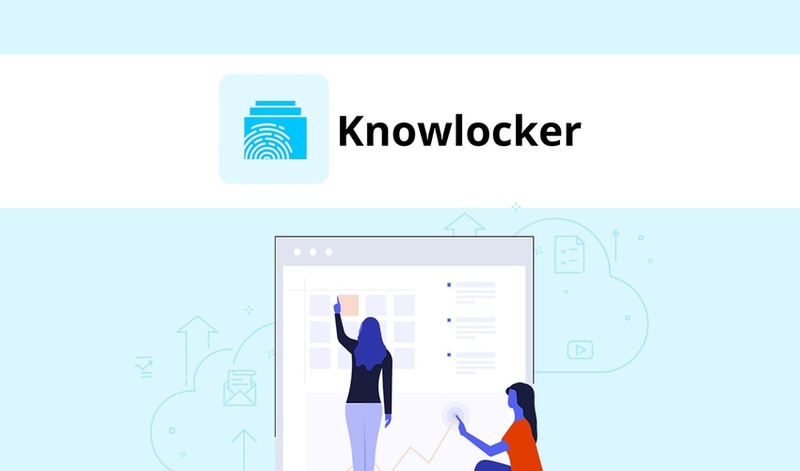 Grab lifetime access to Knowlocker for just $49! Grow, store, and share your knowledge now!